Testing your DNA provides a fascinating glimpse into your own body and how it works. With this knowledge, you can begin to apply food and lifestyle modifications targeted to your DNA. 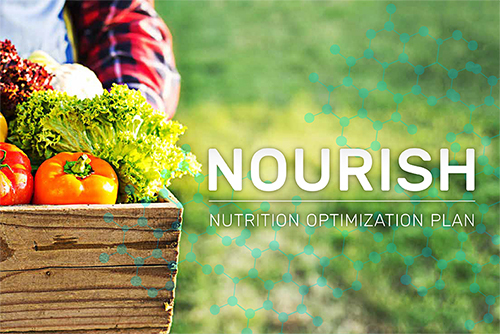 Diet and nutrition strategies, including specific foods, to help you overcome genetic predispositions and live your healthiest life. 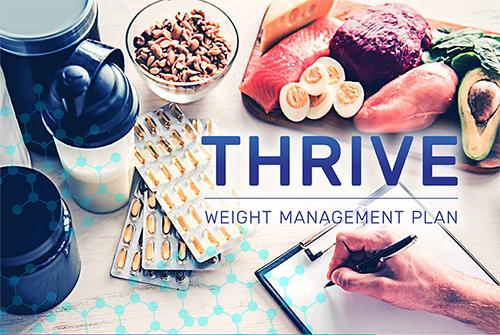 Dietary vitamins and supplements, including type and amount, to help you overcome genetic predispositions for optimal health. 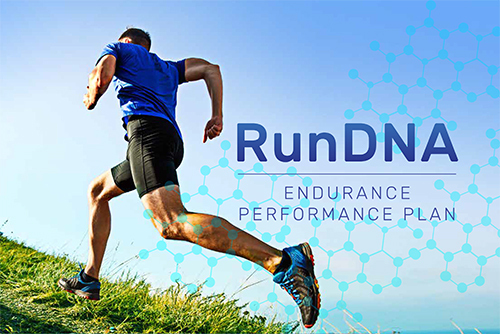 Specific exercise strategies, including cardiovascular, muscular strength, and overall physical activity, to help you overcome genetic predispositions and achieve faster results. Recommendations to overcome genetic predispositions and live your healthiest life, including stress management, sleep techniques, and other important lifestyle strategies. Additional testing recommendations to see exactly how your genetic predispositions may affect you, so that you’re equipped with the information you need to take charge of your health. 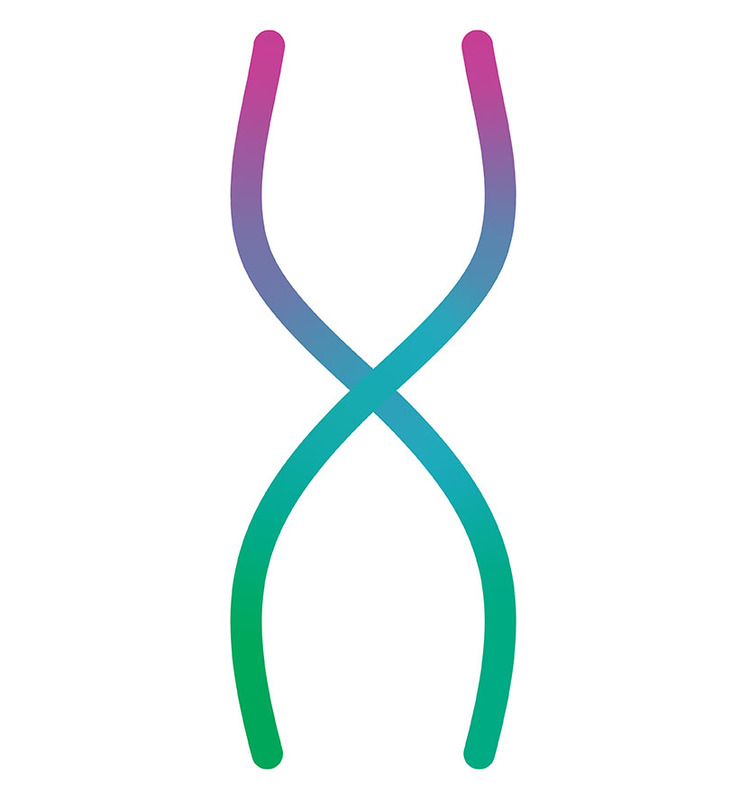 At Toolbox Genomics, we take your unique DNA testing results and analyze them to give you a personalized, scientific, easy-to-understand Health Action Plan™, a powerful lifestyle plan that will help you make all the right choices! We base our recommendations on comprehensive and ongoing reviews of the most up-to-date research. We go beyond the data to give you tools you can use. 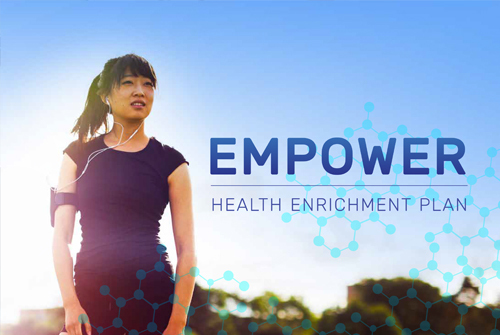 Click here to see a sample Health Action Plan™. I was really impressed by the layout and results. I would highly recommend this to others. I found it one of the most useful tools I have tried for my data - it is friendly, informative and provides action steps. well done and thank you. I like the specific nutritional and supplement recommendations, very easy for the layperson to understand. One of the most friendly website's via genomics that I have visited. Thoughtfully laid out. I really like the work you have done. It is what I was looking for. It will be great especially for those that aren't interested in figuring it out on their own. They just want answers. Congrats. Support your health with this delicious and nutritious recipe guide to support your genes. Success! 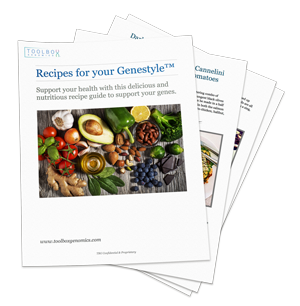 Please check your e-mail for your GeneStyle™ Recipe Guide. Toolbox Genomics does not share Genetic Information with third parties for commercial purposes. Toolbox Genomics does not disclose or share Genetic Information or Self-Reported Information to insurance companies or employers. In addition, the Genetic Information Nondiscrimination Act (GINA), provides protection from employer and health insurance discrimination based on your genetics. Unless required by law or under a good faith belief to comply with a legal or enforcement process, Toolbox will never release your Genetic Information or Self-Reported Information to a third party without asking and obtaining your explicit consent.